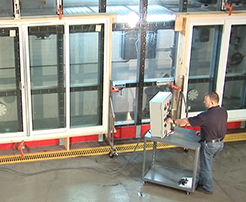 ENERGI Fenestration Solutions has implemented one of the strictest quality control programs in existence. Designed from a total quality perspective, it guarantees that all PVC profiles conform to the company's precise standards and ensures easy and accurate assembly of window and patio door systems. We cover all regions of North America, accordingly we develop high-quality window systems to address the needs of a comprehensive range of customers, built to withstand any weather conditions. 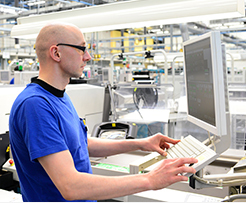 Product profiles are tested both in the laboratory and on-line during production to be absolutely sure of performance. Run samples are then submitted to further testing in order to certify their functional performance and check their longevity and ‘weatherability’ in the field.